Some people read the dictionary for fun. It's true. And boy, do we have a movie for them. The Professor and the Madman tracks the creation of the Oxford English Dictionary, and it's a fascinating look into a book most people simply take for granted. Or at least never really think about its creation. 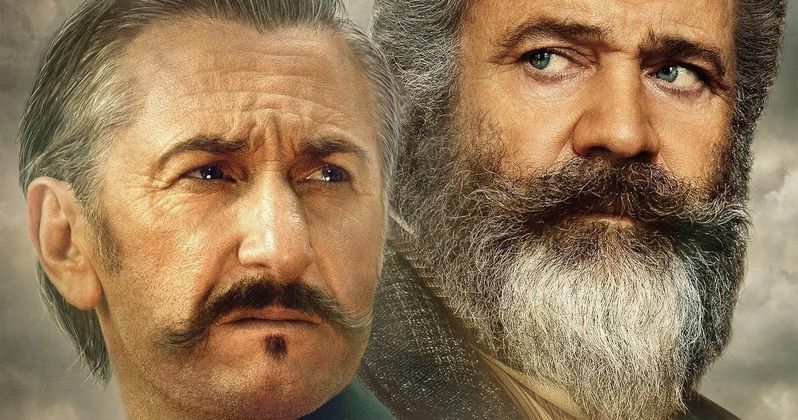 Mel Gibson is teaming up with Sean Penn for this stirring new drama. The movie has been delayed for over two years, due to legal issues swirling around its production and release. Now, we get our first look at all the intense preparation it took in creating the dictionary, and it's harrowing to say the least. The Professor and the Madman doesn't have a concrete release date just yet. Vertical Entertainment has picked the movie up for distribution, so it shouldn't be long before that's announced though. The story is based on the book of the same name, which arrived way back in 1998, more than twenty years ago. This true life tale charts the authentic creation of the Oxford English Dictionary. If you've ever thumbed through, you might understand how this tale could descend into madness. Two men set out to change the course of literary history, and that takes no small amount of genius to pull off. Mel Gibson is playing Professor James Murray. Murray set out to compile the dictionary in 1857, and it is considered one of the most ambitious projects to have ever been taken on by a single individual. The Professor and the Madman was shot way back in 2016, and was supposed to release the following year in 2017. A Lawsuit between Gibson's Icon Productions and Voltage Pictures was filed, which sought control over various aspects of production. This included final cut. The movie was shelved indefinitely. A judge denied Mel Gibson's motion, and the finished film was acquired by Vertical in January. While there is no set release date, it appears that Vertical is intent on releasing it sometime this year. The trailer comes from Kinoafisha International.